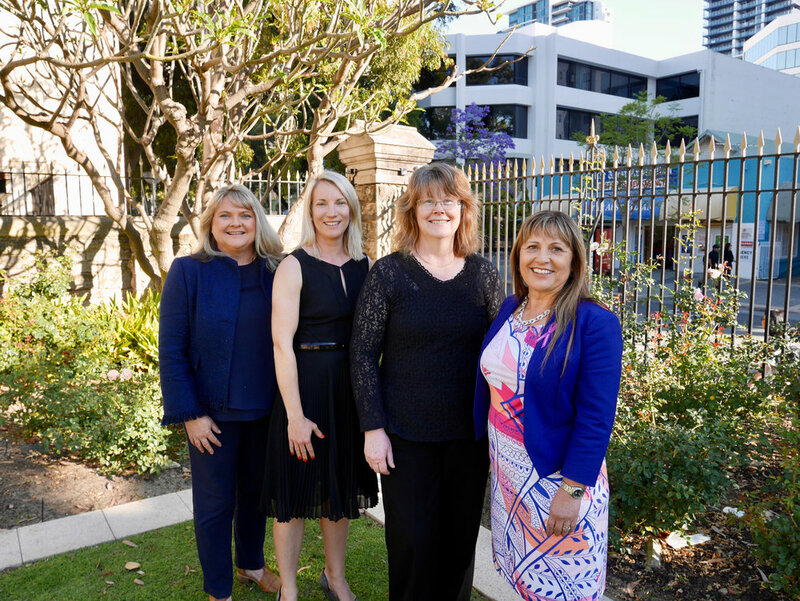 The 2018 ‘100 Global Inspirational Women in Mining’ were announced in London earlier this week by Women in Mining (WIM) and featured seven of Australia’s gold powerhouse leaders including our very own Vice Chairperson Kelly Carter. Gold Industry Group (GIG) members recognised in the top 100 as inspirational role models for future generations of mining women were Gold Fields' Kelly Carter, St Barbara Limited's Meryl Jones, Ausdrill's Alex Atkins, KCGM's Shannon Youd, Newcrest Mining's Gabriela Love and Xiaoling Liu and KPMG’s Denise McComish. “We acknowledge the contribution of women in mining by celebrating the incredible journey of 100 inspirational women. With diverse experiences, roles and professions, these women are great ambassadors for our industry, showcasing the amazing talent we have. Yet we cannot remain complacent, with a lack of female representation at the leadership level, the industry must keep advancing its diversity and inclusion initiatives so that we can continue to compete for the best and brightest talent out there,” said Women in Mining UK Managing Director, Nichole McCulloch. “This book is a living history of women working in mining and through their stories we learn how they have addressed challenges, empowered others and forged rewarding and important careers in the sector. The key themes emanating from the stories are the acknowledgement that much more needs to be done to improve diversity and inclusion, the challenge of attracting and retaining women, and their optimism that the industry has the ability to change further,” said Women in Mining Chairperson Carole Cable. “I am consistently inspired by those women who work so tirelessly in operational and technical fields in a climate that can be truly hostile to women in mining, and who have used that experience and their own progression to empower others. This generosity of spirit, of time and resources is unlike anything I have seen in any other industry,” said Ms Carter. “There were two female electrical apprentices in my group when I started in 1991. Twenty-seven years later, in the company I work for now, there are two female electrical apprentices. It doesn’t feel like we’ve come very far,” said Ms Youd. “We need to encourage schools, training organisations and universities to understand the impact digital disruption and automation will have on the resources industry and ensure we are prepared. STEM skills are declining in our student population, particularly with girls and most often in late high school when peer pressure and broader community influences drive students towards non-STEM subjects,” said Ms Jones. “Once the family comes along, the male model of work no longer works for many women. But for those who stick with it by adapting, reskilling, consulting or regulating, the rewards are great. It would be great to see many more women in the leadership ranks of the global mining industry, especially STEM women,” said Ms Atkins. “Know your strength and needs and focus on developing your skill set by doing the best in your current job. Being a woman should not prevent you from delivering outstanding results. Your track record is your best defence to any gender bias. By demonstrating that you can do your job well, you make it easier for women coming after you,” said Ms Liu. “The challenge for our industry will be the ability to attract the right candidates from other industries such as gaming, software design, digital media, finance and social technologies. To be in the race, we must reframe and remarket our industry to the wider community. Showcasing our industry as high-tech and relevant could challenge perceptions that it is drab and dirty,” said Ms Love. “Diversity is improving, and not just gender diversity but with local communities including indigenous workers being a critical element of the right to mine. Leading mining companies are saying they are passionate about their commitment to inclusion and diversity and we are seeing significant increases in women and local communities represented in the workforce, and increasingly in leadership positions,” said Ms McComish. Within GIG member companies globally, a number of women were also featured including Newmont’s Noreen Doyle, Beatrice Opoku-Asare, Gloria Alorchie-Apetor and Jakeline Claudia Olivos Cruz, AngloGold Ashanti’s Maria Sanz Perez and Gold Fields’ Tzvet Ilarionova. “We hope this book, and others like it from WIM groups around the world, will strengthen the voices of women in mining to change attitudes toward diversity and inclusion. “There is an incredible talent base out there – current and future – so our challenge is to break the models that don’t work and dare to increase the pace of change,” said Ms Cable. For a copy of the 2018 book, visit the website.